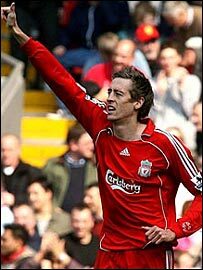 Peter Crouch Liverpool’s hat-trick hero moves the Reds up to third place with victory over Arsenal. Manchester United A 4-1 win against Blackburn puts United within sniffing distance of the title. Charlton A narrow 1-0 win over relegation rivals Wigan. 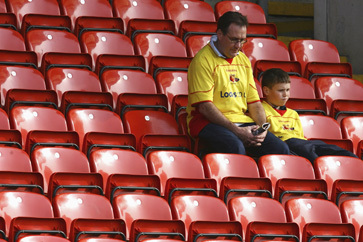 Watford Unlucky not to hold on for a point against Chelsea, but now looking distinctly adrift as a result. Sheffield United Sucked back into relegation trouble after losing at Bolton. Arsenal The Gunners’ terrible run continues with that humiliating defeat at Liverpool.